← How was your run? Yesterday, I ran a 10K race. 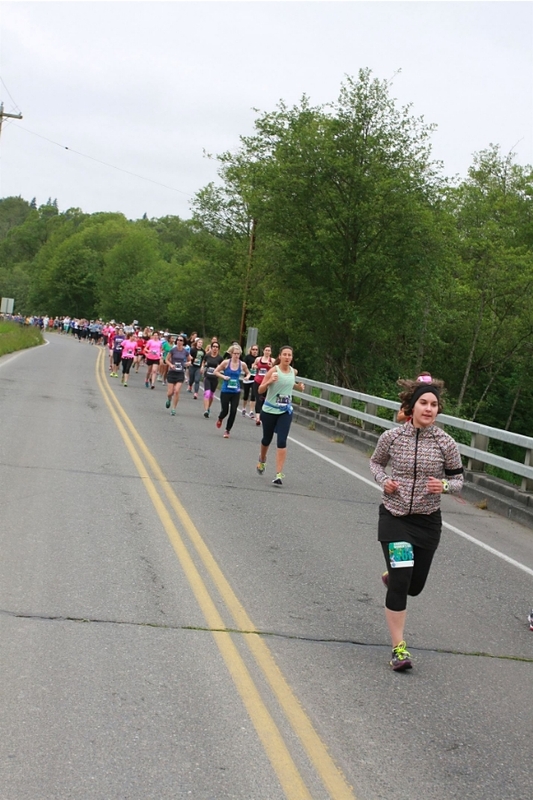 Snohomish Women’s Run. Originally, I was going to run a half marathon, but I caught a cold last week and decided to transfer over to the 10K to be on the safe side. I am glad I did–it was a fun race, and I love the 6 mile distance. Not too short, not too long. I don’t have to fuel during the run, but I still earn that wonderful sense of exhaustion with just a tinge of soreness afterward (I love that feeling… I know, it’s peculiar). I had a really good morning at the race. Race-day mile PR, 5K PR, and 10K PR all wrapped into one. I never could have imagined comfortably running a sub-1:00 10K, but I did it yesterday (without going all guts!). I kind of wish I had pushed just a little more; I was two minutes shy of getting third place in my age division. I had to settle for fourth. I’ll be honest… getting fourth place in my age division? That was awesome. I am not a speedy runner, and I am used to finishing comfortably in the middle wave of runners. It felt really good to find myself in the first wave of finishers. A good motivator to keep training, and validation that these speed goals are yielding improvements. The route itself was really beautiful… right along the river and the woods for the entirety. The only thing I didn’t like was that the entire path was paved. I do love a trail! However, there were no hills, so I really can’t complain. Training for next month’s half continues. Eight miles this weekend at a more relaxed pace… though I’d like to stick around 10 minutes/mile if I can.